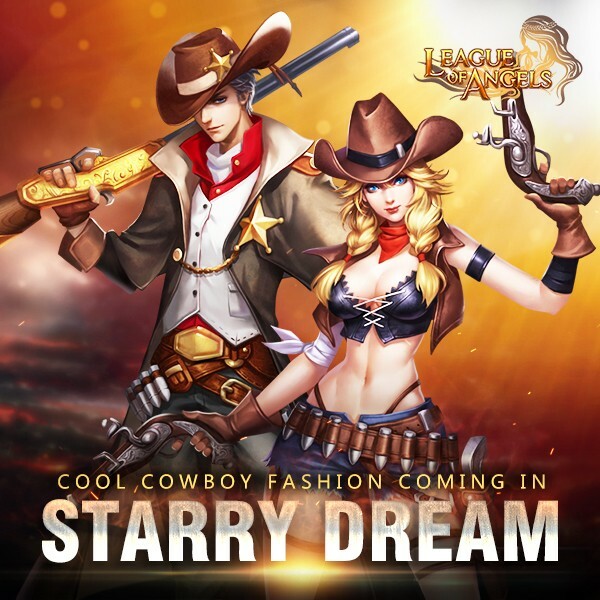 Fabulous Cowboy Fashion, Lengendary Divine Stone, Royal's Mark, Lvl. 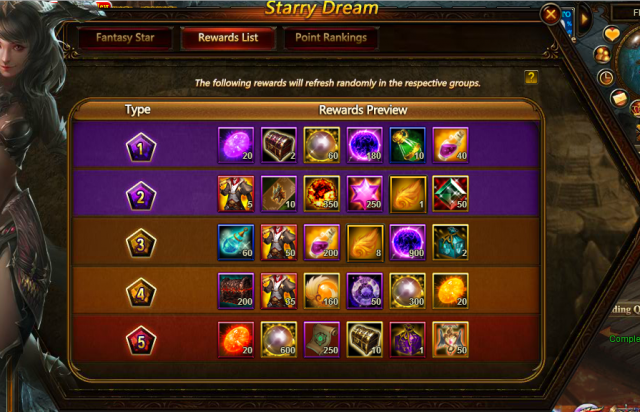 4 Artifact Card Chest and more will appear in Reward List. 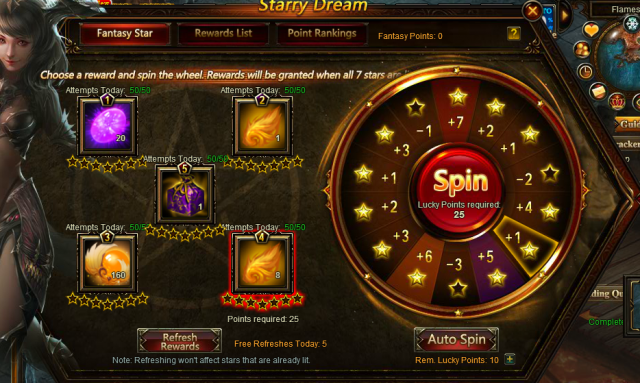 This time Starry Dream brings you powerful angel's artifact , Sliver Lord, Royal's Mark, Lilac Stone, Element Scroll ,Spring of Wisdom, Lvl. 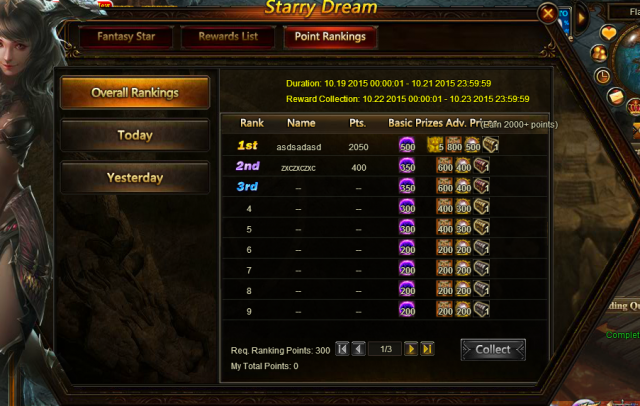 8 Fusion Gem Chest, Dragonsoul EXP Pack(100), Ungodly Soul, Energy Vitamin and many other items. More exciting events are coming up through Oct 18 to Oct 21 (Server Time), check them out in the in-game Hot Events menu now!